Upon completion of this 3-day training program, participants will know how to use video camcorders and associated technology to supplement their work in documenting Narcotics Crime Scenes, Search Warrants and Drug-Related Illegal Activity. The course will cover the use of video to document drug labs, outdoor grow operations, asset seizures, highway interdiction and drug/human smuggling. These techniques can be used to document all forms of criminal activity including drug-related homicides. This course stresses ‘hands on’ video shooting designed on the premise that participants have little or no experience with video. Each participant’s video will be reviewed by the instructor. Participants will learn how to use auxiliary lights for both indoor and outdoor crime scenes. A segment on sound will cover the use of camcorders and microphones for interrogation and victim statements, the use of covert audio transmitters and how to knock out unwanted sound. 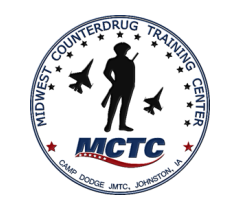 Video Techniques for Drug and Border Investigations is a three-day (24 hour) course. Please note that daily start/end times will shift to accommodate nighttime training scenarios. A video camcorder, at least two camcorder batteries and two digital media or videotapes for camcorder.